Group ABRSM music theory lessons with Clara Ong allows individually-paced learning which facilitates a thorough understanding of challenging topics. Having experienced learning quickly and effectively in this lesson format in her early years, Clara makes this available now to her students. This is especially useful in ABRSM music theory lessons grades 6, 7 and 8 where students have differing aptitudes and find different topics challenging. Quicker students and those with prior experience are able to progress rapidly without being held back and those who need more time find a conducive setting to thoroughly understand concepts without holding back the class. Clara Ong conducts group ABRSM graded theory lessons at her studio a few minutes' walk from Novena MRT. All are welcome. Each student attends a total of 15 hr of group theory tuition each term. This is allocated as ten lessons of 1.5 hr each. There are four terms in a year, each quarter making one term. Prerequisite for grades 6-8 theory is grade 5 theory. ABRSM theory exams are held in March/April and October each year. For those able to gather 2-5 students to form a small group class, you are welcome to email me regarding availability and fees. This is an important foundation grade for all higher grade theory. On average, preparation time for a grade 6 theory exam is about 9 months to a year. Those who prefer to skip this exam are assessed internally before proceeding to the next grade. For grades 7 to 8, it takes about a year in total. This may be slightly shorter or longer depending on prior knowledge and progress of the student. For those preparing for the grade 5 exam, it takes about 9 months to a year to complete the entire grade 1 to 5 syllabus and be well-prepared for the exam. Why Learn Higher Grade Theory? If you love music and enjoy learning new pieces and scores and playing them well, this is the course for you! Music theory knowledge is essential in playing with understanding and in interpreting pieces and in a musical way. Higher grade theory knowledge starts you off to be able to identify special chords and keys used by composers in the music so you can take special care when playing them. In addition, ABRSM grades 6 to 8 theory gives you a fundamental understanding of harmony (chords), melody writing and reading scores which benefits higher grade aural a great deal. 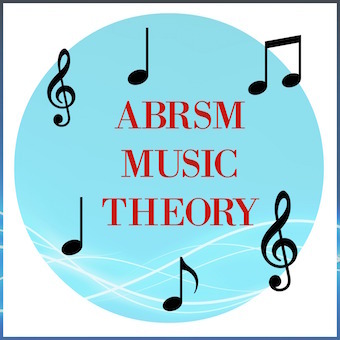 Last but not least, grade 5 theory is a prerequisite to higher grade ABRSM practical exams and higher grade theory is a prerequisite to a piano teaching diploma.